Free Practice 1 + 2: In the first practice session all Kaufmann driver were on old tyres. 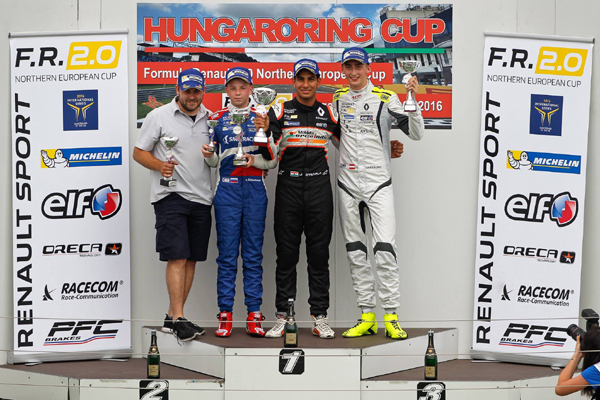 Norris P 1, Daruvala P 3 and Shwartzman P 7. In the second session the Kaufmann drivers had been quick again, but still running on used tyres. Norris was P 2, Daruvala P 6 and Shwartzman P 12. Qualifying 1 + 2: In the first Qualifying Norris took Pole by a gap of 9/10. Daruvala, after having lap times deleted due to track limits on P 8 and Shwartzman on P 10. In the second Qualifying Norris took Pole again, this time ahead of teammate Daruvala on P 2. Shwartzman improved on P 5. Race 1: In the first race Daruvala was moving up positions but had contact and spun. He finished on P 13 in the end. Robert Shwartzman drove a nice race improving lap by lap finishing on a strong P 5. In the lead Norris pulled away and won without any pressure. 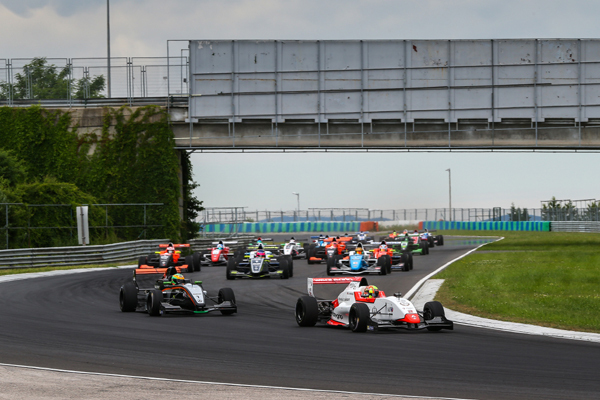 Race 2: In the second race after lap one Norris was leading his teammates Daruvala and Shwartzman. In lap 4 Norris mad a little mistake in the chicane and spun off the track, suffering slight damage on the rear of his car and was forced to retire from the race. Daruvala took advantage of that and was leading the race. 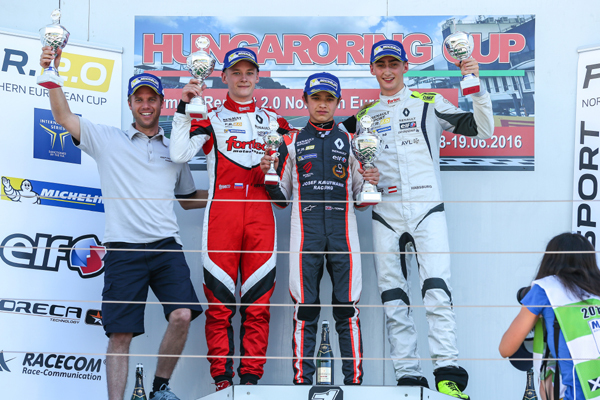 After 14 laps Daruvala won his first race, leading his teammate Shwartzman to a Kaufmann 1 - 2.